SALEM – Norman W. Zimmerman, 87, died at 3:50 a.m. Wednesday, Dec. 19, 2018. at the Select Specialty Hospital in Boardman. He was born Oct. 15, 1931, in Salem, Ohio, the son of the late William A. and Dorothy L. (Wright) Zimmerman. 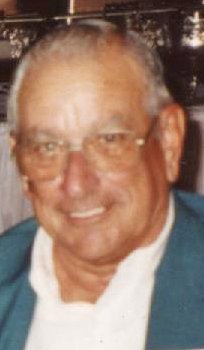 Norman retired in 1994 as a supervisor after 36 years with Salem Label. He was a 1949 graduate of Salem High School and served in the U.S. Air Force during the Korean War. Norman was a member of the Salem Elks Lodge #305 and a 50-year member of United Commercial Travelers. Survivors include his wife, Dorothy A. (Wilson) Zimmerman whom he married July 26, 1952; and a sister, Dorothy Fitch of Salem. A brother, LeRoy Zimmerman, also preceded him in death. Services will be held at noon Saturday, Dec. 22, 2018, at Stark Memorial Funeral Home. Calling hours will be held from 10 to 11:45 a.m. at the funeral home with the Rev. Steve Kenneally officiating. Burial will be at Woodsdale Cemetery. Norman’s obituary may be viewed and condolences sent online at www.starkmemorial.com.